The final front end for the Atacama Large Millimeter/submillimeter Array (ALMA) has been delivered to the observatory’s Operations Support Facility (OSF) in Chile, marking another milestone in the completion of the project. With one installed in each of ALMA’s 66 antennas, the front ends are the first step in a long chain of devices that receive, convert, process and record the astronomical data collected by the telescope. Each front end contains a set of extremely sensitive receivers, cooled to temperatures of just four degrees above absolute zero (-269 degrees Celsius), which detect the millimetre- and submillimetre-wavelength light that ALMA “sees”. Construction of the front ends for ALMA has been shared between the European, North American and East Asian partners in the project. 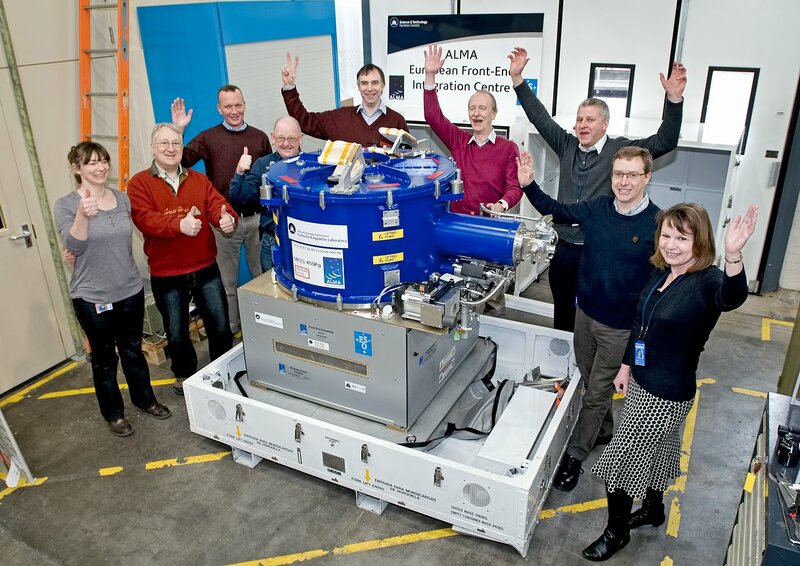 Twenty-six of the total complement of 70 units were built at the European Front End Integration Centre, based at the Rutherford Appleton Laboratory (RAL) in the UK, including this final delivery. 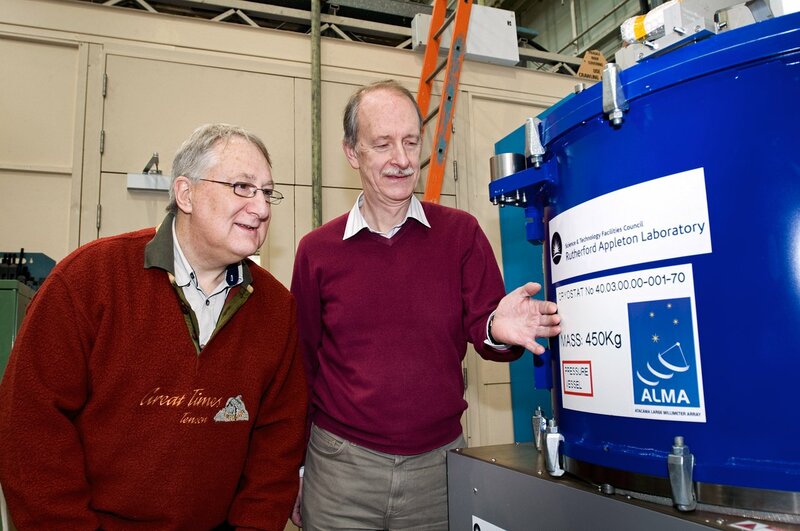 These 26 units are one of ESO’s deliverables as the European partner in the ALMA project. “The state-of-the-art front end receiver systems are crucial to the successful operation of ALMA. RAL, in hosting the European Front End Integration Centre (EuFEIC) for ESO, is therefore delighted to have delivered front end number 70, the final one for the project, to Chile. Despite starting later than its East Asian and North American counterparts, the EuFEIC honed its production rate during 2012 to finish its deliveries, and this important phase of ALMA construction, on time,” said Brian Ellison, ALMA UK Project Manager. Having arrived at the ALMA site, the front end will undergo further acceptance testing at the OSF. Its formal acceptance by the observatory will mark the completion of activities for the European Front End Integration Centre, and of the ALMA front end construction project as a whole. The ALMA observatory will be formally inaugurated on 13 March (see media advisory ann12092).